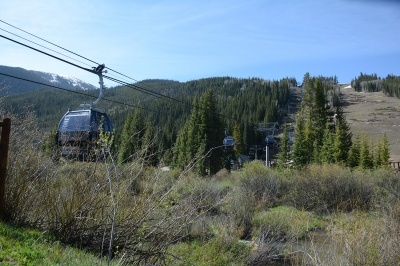 River Run is bounded on the north by Highway 6, and on the south by the gondola and the ski mountain, Dercum Mountain, that it ascends. If you live in River Run you can walk to the slopes, to the amphitheater, the central plaza and get anything you'd want on a ski vacation. 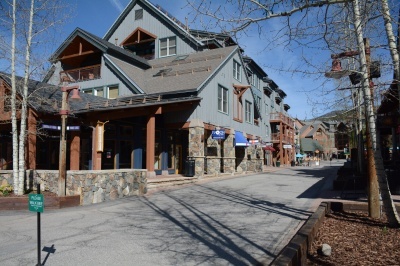 Ski rental shops, a day care center, ski school, the enduring Inxpot coffee shop and cafe, bars, offices and restaurants occupy the first floors of each of the buildings in River Run and residential condos fill up to four stories above them. The community is warmed by a center outdoor firepit, a small amphitheater and a plaza that is often filled with festivals celebrating jazz, wine and recreation. 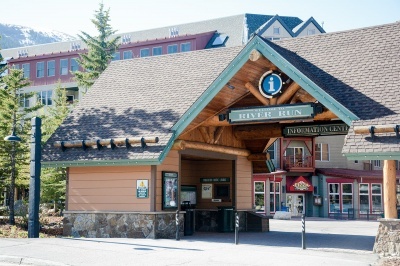 River Run is the most recently developed base area at Keystone and was designed to incorporate the past - the Summit County mining era - and the new idea urbanism. Its architectural style, then uses board and batten, wood trims, a subtle pallete that reminds us the rural Western Victorian but applied to multi-story residential buildings. Jackpine Black Bear Condominiums, Silver Mill , Buffalo Lodge, Arapahoe, The Dakotas and other buildings around the plaza. Short walk to all of River Run Village.